During the last decades, the Taiji practice has been the subject of a world-wide diffusion and has been known above all as “moving meditation.” In fact, this path of training is experienced and perceived by most practitioners as awakening of the Self. In this regard, the scientific literature has formulated several hypotheses in order to explain and understand in what terms this phenomena may be considered as a simply consequence of some form of shared autosuggestion, or rather, if it is really a verifiable outcome, founded on neurophysiological bases, as well as on particular relational and interactive conditions of mindfulness-based learning (Salomon & Globerson, 1987; Langer & Moldoveanu, 2000; La Forge, 2005; Nedeljkovic et. al., 2012). 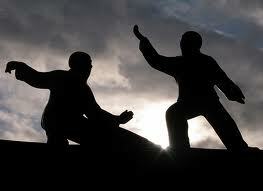 This ancient martial art leads to discover the body as wholeness, and may help the sense of kinesthetic awareness. Therefore, it is possible to recognize within the practice of Taiji an essential indicator, firstly as the opportunity to develop the perception of one’s corporeal identity through a shared experience, secondly as outcome of reciprocal bodily interactions, visual insights and imitations; in other words, an internalized practice of mirroring (Carboni, 2013). From here begins our reflection on Taiji as environment of evolutionary growth and development of human potential. The idea of change grows and develops precisely in these areas of experience, through an embodied learning, founded on a dimension of reciprocity and mutuality, and expressed as individual and collective help for the person. Slowness or expanding the space in time. For many beginners the slowness in Taiji is a primary feature. This is just the surface of a further experience more articulated and complex where this study can find its realization, at the deepest point of perception, like a personal journey of Self research. We refer to a spatial/temporal dilation that implies a paradoxical experience. The gradual increase of the focused intention do not produce, necessarily, a corresponding increase in intensity of the quality of the movement in terms of mass, weight, or gravity. The internal energy of movement is not controlled or limited, it is distributed instead, in such a way as to act in terms of balance and proprioception, so that it inhibits the discrimination of body parts and, in a complementary way, facilitates the awareness of the whole, especially through actions, so that in this way are monitored and coordinated. The practice of meditation, when is connected to breath, leads to a deep state of personal integration, a holistic condition of consciousness. The meditation practice through the breath stimulates the nervous system, reaching, in this sense, the quality of an integrated system. This is structured as a flow system, which as such must be Flexible, Adaptive, Coherent, Energized, and Stable (acronym: FACES). It is precisely when a system becomes integrated that it reaches the maximum complexity (Siegel, 2007: 151-152.174). The tradition of internal martial arts defines the condition of attunement between corporeal engagement and vital energy as a modulated relationship between intention, mind/body, and energy (Yi, Qi, Li). 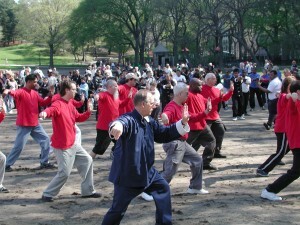 This means that the practice of Taiji Quan lives and grows inside of Tao. The latter must be understood as a perceptual and phenomenological state of a natural and universal membership. Unfortunately, in our daily experience «five thieves destroy the spontaneous interaction between body and internal energy, by interfering in this way with the attitude of meditation in daily life. They are eyes, ears, nose, mouth and mind. If they are all too active, these thieves steal the inner energy from the body» (Jou, 2001: 122). In addition, Taiji as experience, regarding the perceptual field, facilitates the achievement of a state of “proactive attention.” And even more, the internal work of Taiji ceaselessly tends to return toward an undifferentiated and non-substantial state (Wu Ji), a process of non-action in action that search the stillness into the movement and gradually internalizes the “spiral power” (Chan Si Jin). 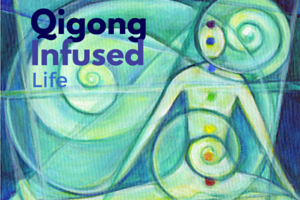 The movements of “silk reeling” (qualities of gesture related to the Art of Neigong) connect the different joints of the body, increasing the internal energy with improvements in flexibility, extension of movement, and circulation of Qi. 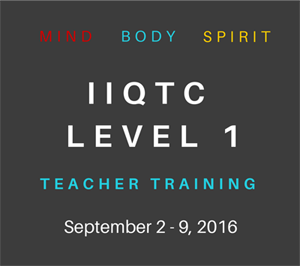 This implies a progressive study, learning, and development of various kind of physical and mental energy. Through practice these properties come to take a certain form, as postures or gestures, as well as kinesthetic qualities. The daily practice of this gestural and corporeal engagement returns to our bodily activation in a deeper meaningful sense of identity. We are faced with a dimension of experience where the doing seems to coincide with being. The slow movements performed by a person during the training even allow to achieve more fundamental transformations in relation to the capability to gain a skilful control of movement. Many studies and researches show that a constant practice of Taiji can enhance the control of the perception of gravity in terms of gait and posture. In addition, it produces a clearer sensation of changing the balance as an uninterrupted condition of physical and emotional transformations (Taylor-Piliae et al., 2006; Wang et al., 2010). Through the slow movement, the practitioner of Taiji tries to find continually a particular condition of precariousness where it feels suspended, in every single moment, between substantial and nonsubstantial, full and empty. But movement is transitory and intangible. If you hold it still, you destroy it; if you don’t, it is over and gone. But if you repeat it, slowly, many times, you begin to perceive details and nuances that escaped your notice at the start (Strauch, 1986). Unified Experience through breath and imagination. As a sphere has its own support on only one point, always different and always equal, every movement in Taiji is also permanently connected to its axis in such a way so that it creates a constant state of search of balance through and during a continuous flow of changed and adapted movements. It is a dimension of experience that connects pace and gait with gestures and postures. What that seems to be as an apparent limit of a changing of balance, actually becomes the resource and the real strength of the martial art itself. Not by chance, in the Classics of Taiji, we can find a lot of metaphorical imagery. The function of these suggestions is to help the pupil in the learning, laying the basis for a better understanding of a complex and multidimensional study. This reflects the intrinsic and sophisticated range of insights related to the balance and human movement (Wayne & Kaptchuck, 2008: 96). 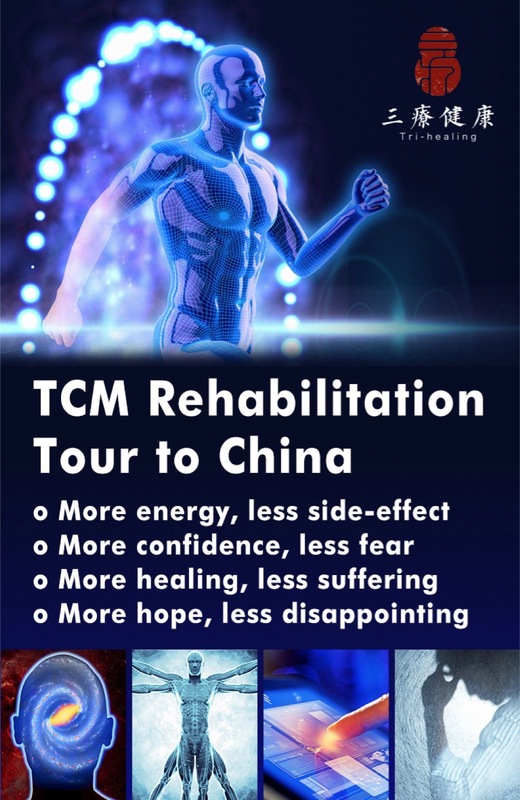 In recent years, a large number of experimental protocols and accurate analysis of the movement components, has demonstrated that during the practice of Taiji, meaningful changes occur related to neuromuscular and cognitive functions. We refer to the special conditions of practice, in which the tone supple and the postural flexibility are directly linked with the continuity and smoothness of movements as a whole. These properties of body action are focused on inner perception, ensuring an increase in strength and flexibility, and finally and especially, in improvements in the balance adjustment. (Jacobson et al. 1997; Lan et al. 1998; Lan et al. 2000). This means that the movement, especially in the practice of Taiji, has to be understood as result of a constant adjustment, to which corresponds a wider process that satisfies common physical needs, to move fluidly and efficiently (Strauch, 1986). Ultimately, the continuity of the movement and the whole sense of body relate to common principles that are synthesized in the exercise of spiral power (Chan Si Jin). This is a fundamental element of Neigong (internal work) and Taiji. Is a set of spiral movements that brings the body to be firmly “anchored” to the ground and, at the same time, makes it possible to climb skyward lightly. The energy and the movement, in this way, can expand itself in every direction, and, paradoxically, focuses and places the core of energy exactly in the center of the Taiji Sphere. Even the social sciences are struggling to understand how this composite “mechanism” can be a help to harmonize an individual’s health and well-being. The peculiar gestures expressed in Taiji represent precise qualities of experience: awareness, fluidity, softness, lack of effort, concentration, regulation of breathing and energy. In addition, Taiji operates as a simultaneity of structures and functions (breathing, movement, attention/concentration, memory, positive emotions, knowledge, and self-awareness), and is able to activate positive personal resources, as well as adjustment of mechanisms and adaptive capacities (Posadzki et al., 2010). In this perspective of reflection we can recognize the actuality of the phenomenological thought of Merleau-Ponty, who explains that «The body is our general medium for having a world.» (Merleau Ponty, 1962: 146). It is an holistic approach to information’s process which realizes itself as awareness condition, especially when trying to understand the movement or motility «as basic intentionality. Consciousness is in the first place, not a matter of “I think that” but of “I can” (Merleau Ponty, 1962: 137). The development of learning experience it is here considered as a knowledge form mediated by associative interactions. In other words, the kinesthetic organization of movements and gestures, according to various forms of manipulation and exploration of objects and materials, is like a property which is part of the growth path of a human person from the evolutionary age already. The approach of repetition as way to study becomes, in time, progressively more internal. This also means to live the imperceptible change in a seemingly immutable experience. In addition, it implies that the same movement, through experience, acquires different and new meanings, in which the quality of gestures changes. Finally, it is precisely in the context of “repetition,” as the core of the learning process, where we can recognize those rhythmic qualities that are the fundamental structures of the majority of movements. This allows one to control the shape of the movement together with the ability of anticipating and projecting the image of the Self in time and space. “The skill to perceive rhythmic structures is one of the primary memory supports. This because there is a direct relationship between the short term memory (…) and the ability to perceive the temporal forms represented by rhythmic structures (Le Boulch, 1982). And again, «rhythm and motion have in common physical qualities as time and duration, focus, energy and intensity, direction and cyclicity. All this in a dense network of reciprocity and shared elements which leads everything to coincide in a unified experience» (Le Boulch, 1987). In particular, the perception of personal movement in terms of rhythm and energy, shape and quality of gestures, enables everyone to capture the richness and complexity of knowledge, mediated by the corporeal experience. The dynamic activation of body is a fundamental element, in an evolutionary sense, included in the overall framework of the action. It is the core and starting point of a continued and renewed processing of experiences and, in a broader sense, of the meaning processes. Time and space, in so far as they represent the real dimensions of our existence, are intimately connected with the physicality of our experiences, and, in addition, are perceived and understood as qualities of human action, as fulfillment of our being. This ensures that, in every single moment, the perception of space (or time), if is acted and lived through the movement, can become reality and, thus, can be a tool of recognition and interaction. From this vision of corporeal experience emerges a social dimension of life as shared culture, that, as such, can be related to the researches on the mirror neurons and the embodied functions (Gallese, 2001; Gallese & Sinigaglia, 2010). The Taiji has, therefore, a function of calibration, of communication and relational attunement between the group and the person. We are specifically referring to the mutuality and reciprocity of a mirroring that we perceive as creativity of being. A space-time in which the expectations and the targets to be achieved, are not the consequence of outcomes or judgments, but might be considered by the perspective of interpersonal relationships. Gesture and Corporeality as Value. The enhancement of corporeality in terms of bodily and gestural communication is an essential reference in the educative planning. This, in a broader sense, which involves the context of the implementation and achieving of the inclusion processes, is where the search of reciprocity, as exchange of experiences, nourishes the creativity of knowing. Ultimately, the formative orientation of Taiji operates through a multidisciplinary educational approach. This means that any educational device in the practice of Taiji can be the source of a learning experience in which the internal work facilitates and leads the process of construction of knowledge. In this sense, the teacher proposes experiences that can provide different approaches in solving a task. Consequently, the study of Form incorporates the learning in a real and meaningful context. The fluidity and the individual expression, during the practice of Taiji, are requested and encouraged as personalization of the learning process. In addition, the study of “pushing hands” creates the ideal conditions for a learning process as social experience, as well as the adoption of imagery which allows the use of many kinds of knowledge representation (Carboni, 2013). the development of communication as motivational improvement. the emerging social interactions in the Taiji setting reveal the complex network of mechanisms and projective identifications, in structuring relationships between personal identity, context, and environment. Therefore, the enhancement of personal growth in the training path of internal martial arts is achieved as heritage of shared experience, combining the emergence of sensory memories and of perceptive experiences. This comes together and also through the development of the synesthesia as holistic process of knowledge. Finally, this increases the capacity of viewing the movement in a representative form which leads toward the structuring and the consolidation of the sense of identity and of belonging. Carboni, M. (2013). Taiji As A Shared Bodily Experience, Yang-Sheng (Nurturing Life), Vol. 3, Issue No. 2: 25-32, ISSN: 2326-277X. Gallese V. (2001), The “Shared Manifold” Hypothesis: From mirror neurons to empathy, Journal of Consciuosness Studies: 8, N° 5-7; 33-50. Gallese, V., Sinigaglia, C. (2010), The bodily self as power for action, Neuropsychologia, 48 746–755. Jacobson B, Chen H, Cashel C. (1997), The effect of Tai Chi Chuan training on balance, kinesthetic sense, and strength, Perceptual and Motor Skills, 84:27–33. Jou, Tsung Hwa (2001). The Dao of Taijiquan: Way to Rejuvenation (Eds. Lori S. Elias, Sharon Rose, Loretta Wollering), ISBN 0-8048-1357-4, Tai Chi Foundation, Scottsdale. La Forge, R. (2005). Aligning Mind and Body: Exploring the Disciplines of Mindful Exercise. ACSM’S Health & Fitness Journal, Vol. 9, Issue 5, pp.7-14. 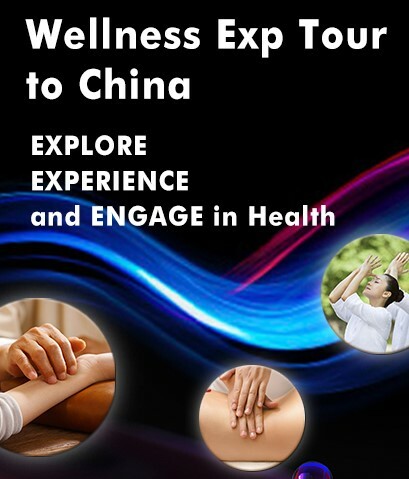 Lan C, Lai J, Chen S, Wong M. (2000), Tai Chi Chuan to improve muscular strength and endurance in elderly individuals: A pilot study, Archives of Physical Medicine and Rehabilitation, 81:601–607. Lan C, Lai J, Wong M. (1998), 12-month Tai Chi training in the elderly: Its effect on health fitness. Medicine and Science in Sports and Exercise, 30:345–351. Langer, E.J., Moldoveanu, M. (2000). The Construct of Mindfulness. Journal of Social Issues, Vol.56, No. 1, pp.1-9. Le Boulch, J. (1987), Rumo a uma Ciência do Movimento Humano. Porto Alegre, Artes Médicas. Le Boulch, J. (1982). O desenvolvimento psicomotor: do nascimento aos 6 anos. Porto Alegre, Artes Médicas. Merleau-Ponty, M. (1962). Phenomenology of perception. Routledge and Kegan, London. Nedeljkovic M, Wirtz PH, Ausfeld-Hafter B. (2012). Effects of Taiji practice on mindfulness and self-compassion in healthy participants—a randomized controlled trial. Mindfulness; 3(3) : 200–208. Posadzki, P., Parekh, S., Marie-Luce O’Driscoll, M.-L., Dariusz Mucha, D. (2010), Qi Gong’s relationship to educational kinesiology: A qualitative approach. Journal of Bodywork & Movement Therapies, 14, 73-79. Salomon, G., Globerson, T. (1987). Skill may not be enough: The role of mindfulness in learning and transfer. International Journal of Educational Research, Volume 11, Issue 6, 1987, Pages 623–637, Chapter 2. Siegel, D.J. (2007), The Mindful Brain: Reflection and attunement in the cultivation of well-being, New York. Strauch, R. (1986), T’ai Chi and the Feldenkrais Method® Different windows on a common vision, The Feldenkrais Journal, Issue 2, Fall 1986. Taylor-Piliae, R.E., Haskell, W.L., Waters C.M., Froelicher, E.S. (2006). Change in perceived psychosocial status following a 12-week Tai Chi exercise programme. Journal of Advanced Nursing, May; 54 (3) : 313-329. Wayne, P.M., Kaptchuk, T.J. (2008), Challenges inherent to t’ai chi research: part I — t’ai chi as a complex multicomponent intervention, The Journal of Alternative and Complementary Medicine, 14(1), 2008, pp. 95–102. Wang, C., Bannuru, R., Ramel, J., Kupelnick, B., Scott, T., Schmid, C.H., (2010). 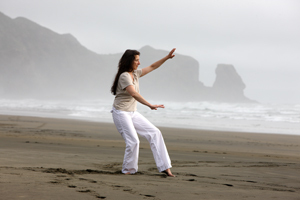 Tai Chi on psychological well-being: systematic review and meta-analysis. BMC Complementary and Alternative Medicine, 10, 23. Mauro Carboni is Researcher of Special Pedagogy and Educational Research at the University of Rome “Foro Italico”, Assistant Professor of Didactics and Special Pedagogy at the Course Degree in Sport and Exercise Sciences; Professor of Special Pedagogy at Course Degree in Preventive and Adapted Physical Activity (master-level degree), Professor at International Doctorate in Culture, Disability and Inclusion: Education and Training. 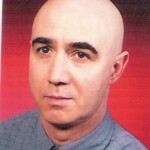 Is one of the founding members of the Italian Society of Special Pedagogy (S.I.Pe.S). His research interests include the processes of inclusion and the educative integration through analogic mediators (gesture, music and image) connected with the empathy as essential factor of relationship, notably through a methodological analysis of learning environments. He studied Taiji and Nei Gong with the Master Guo Ming Xu and attended workshops with many other Chinese masters. He is a pupil of Master Flavio Daniele at Nei Dan School of Martial Arts where he earned the title of Taiji Instructor (Yang style). E-mail address : mauro.carboni@uniroma4.it. Affiliation: University of Rome “Foro Italico” – Department of Educational Sciences for the Motor Activities and Sports. This entry was posted in East-West Perspectives, From the Master, Tai Chi and tagged development, research, taiji. Bookmark the permalink.